Samsung traditionally launches devices just before – or just after – the big shows. The Samsung Galaxy S4 coming out just after Mobile World Congress in February, for instance. The Samsung Galaxy Note 3 is the next chapter in Samsung’s super-successful phablet range and is said to feature a 5.7-inch Super AMOLED screen, 3GB RAM and either a Qualcomm Snapdragon 800 SoC or the company’s own Exynos Octa 5 chipset – although the latter will only come to certain territories. It will come equipped with a Samsung Galaxy S4 matching 13-megapixel rear camera. Apparently, 5.5-inch, 5.7-inch and 6-inch versions of the smartphone will reportedly touch down on September 4, although such small size differences seem a little strange to us. What do you think? 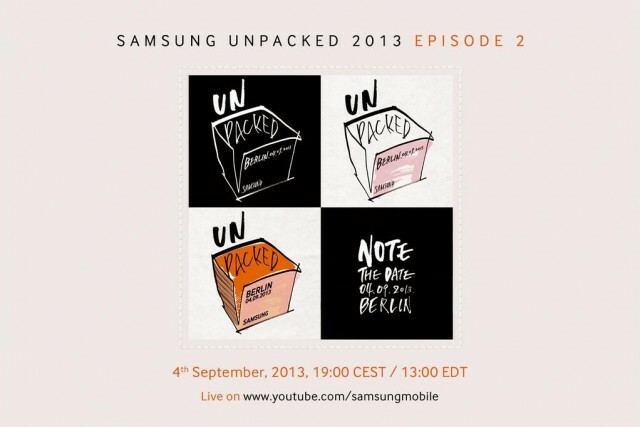 Will the Galaxy Note 3 take everyone by surprise? Or will it just be a bigger Galaxy S4? Let us know below!